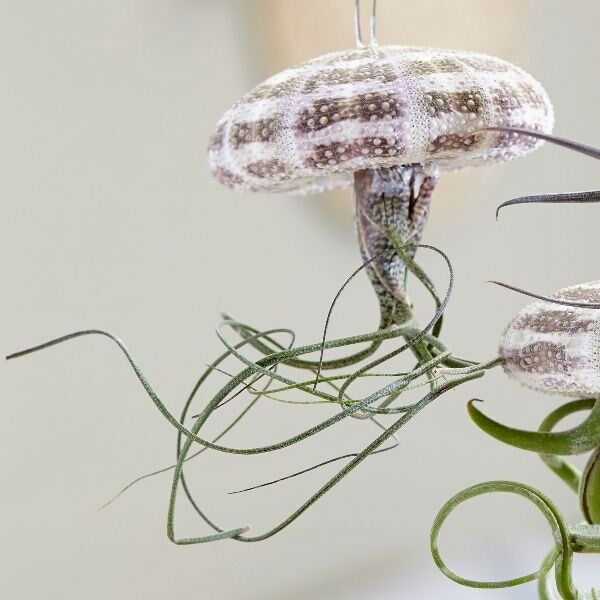 Buy hanging jellyfish (air plant) air plant - hanging jellyfish: Air plant housed inside a sea urchins shell. These are lots of fun! Each one has been made from a real air plant (tillandsia) that has been housed inside a sea urchins shell. They have a loop of clear line attached in the base, which means you can easily hang them upside down, creating the illusion that these jellyfish-like concoctions are magically floating in mid air. Each one is unique though, so the sizes (of both the shells and the plants) can vary a little. Can you let me know how long the attached wire is? Hello there, thanks for your question. 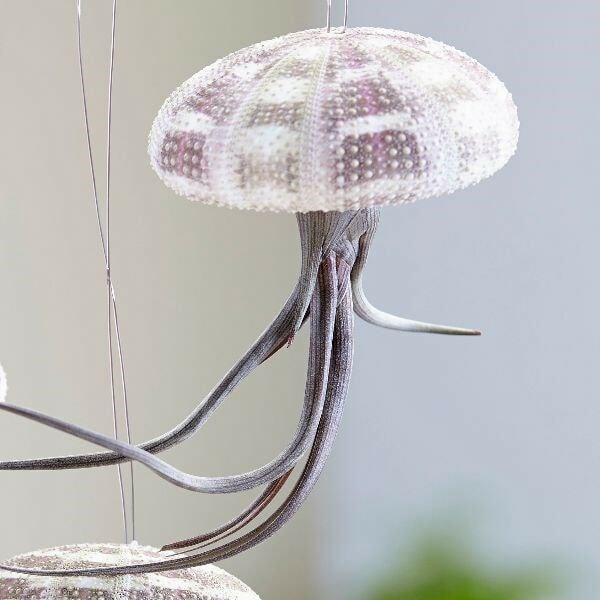 The wires on our hanging jellyfish do vary from plant to plant in order to add some variety to displays. As a rough guide, they are usually somewhere between 15cm and 25cm. Hope this helps!